Japan’s continuing efforts to cool reactors at the Fukushima number 1 nuclear plant are being repeatedly impeded by the wavering radiation levels. However, work that was suspended due to high radiation levels earlier on Saturday has been resumed. 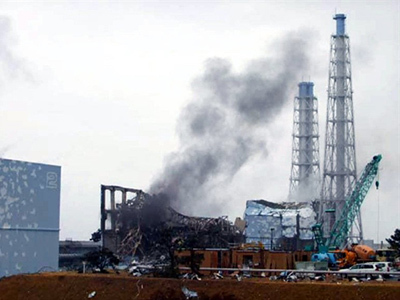 As the situation at Fukushima remains unstable, Japan's top government spokesman Yukio Edano said Saturday it is difficult to predict when the crisis at the Fukushima Daiichi nuclear power plant would end. As for the future of the crisis, Edano said, ''The current situation is that we are preventing it from worsening.'' He added the situation still requires ''an enormous amount of work'' before it will settle down. He has also publicly criticized Tokyo Electric Power for not keeping the authorities and the Japanese people fully up to date with the current state of the Fukushima power plant and the progress of ongoing repair work there. “In such conditions the government is unable issue necessary instructions and the company’s actions will not insure the trust and confidence of the workers and the Japanese people” said Edano at a news conference in Tokyo. Meanwhile, Tokyo Electric Power Co. said electricity has been restored in five of the six damaged reactors of the Fukushima-1 power plan. 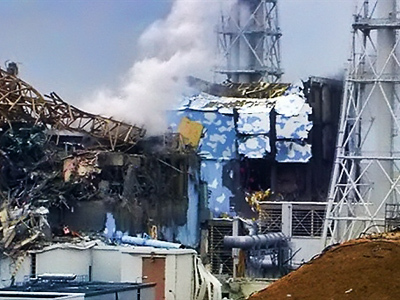 The most heavily damaged fourth reactor still remains without power, added representatives of the company. The workers have begun pumping freshwater instead of seawater into the reactors to cool them. The seawater that has been used to cool the fuel rods during the emergency could be leaving a salt crust, increasing the difficulty of cooling the rods and adding to the risk of a meltdown. Earlier on Saturday radioactive iodine that had been found in the seawater near the plant measured at 1,250 times the normal level, forcing all work at the first reactor to stop. 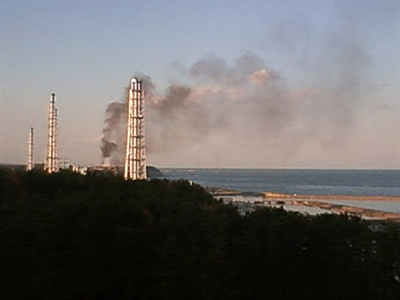 That particular level of radiation was detected only 300 meters away from the plant; however, the iodine level in seawater exceeds the norm within the 30km radius from the site of the disaster, as scientists report. This most likely comes from a combination of both airborne radiation released from the reactors and contaminated water leaked into the sea. This is the highest level of radiation detected in the last week, but the amount poses no immediate health risk, officials claim. However, the Japanese government has asked people living within 30 kilometers of the plant to voluntarily leave the area. Otherwise, they are advised to stay indoors to minimize exposure to radiation. Japan’s Prime Minister Kan said on Friday, that overcoming the worst crisis in Japan’s post-war history will require the efforts of all Japanese people. Also, it was announced on Friday that the radiation level at the plant itself was 10,000 times higher than normal. 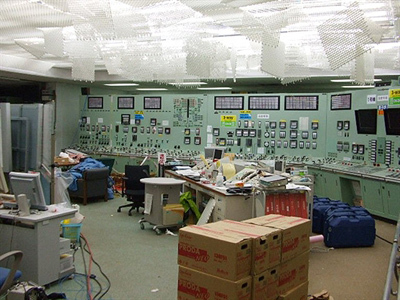 The repair work at the second reactor was also stopped when three workers were exposed to dangerous materials. 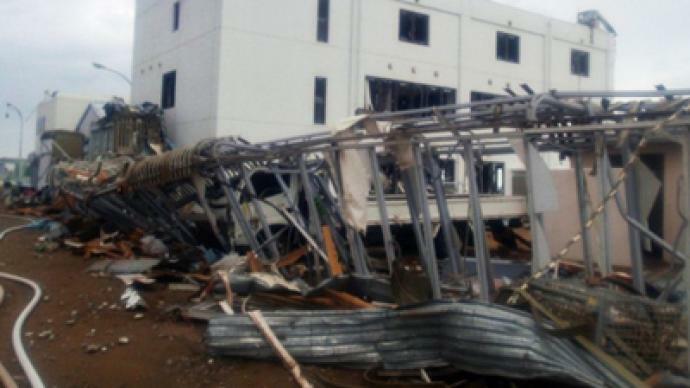 It has been over two weeks since the devastating earthquake and tsunami, with workers still trying to restore the cooling systems at the stricken Fukushima facility. Nuclear energy experts say the damage caused to the site is already having dangerous effects on the environment and the health of locals. 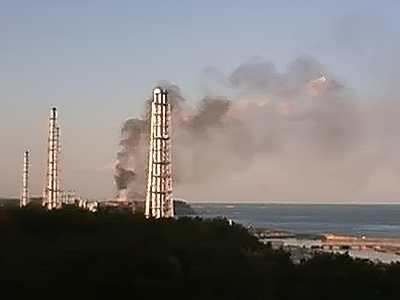 As a result of the earthquake and tsunami that hit Japan on March 11, the cooling systems at the Fukushima Daichi nuclear plant shut off, followed by a series of explosions. Heightened levels of radiation were discovered in food produced in Fukushima prefecture, and agricultural products from Fukushima were withdrawn from sales. Meanwhile, the official death toll in Japan reached 10,418 on Saturday, while more than 17,000 are still listed as missing.